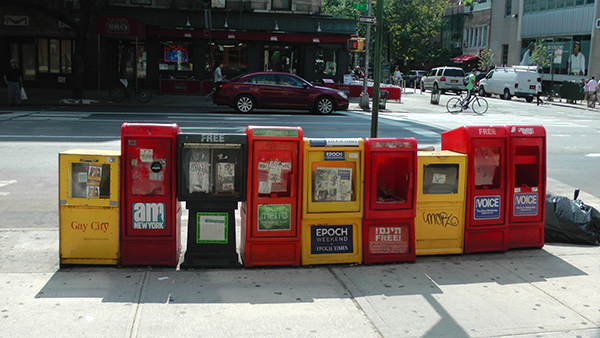 A row of newspaper boxes. The first thing you may notice is that red and yellow are popular colors for free-newspaper boxes! 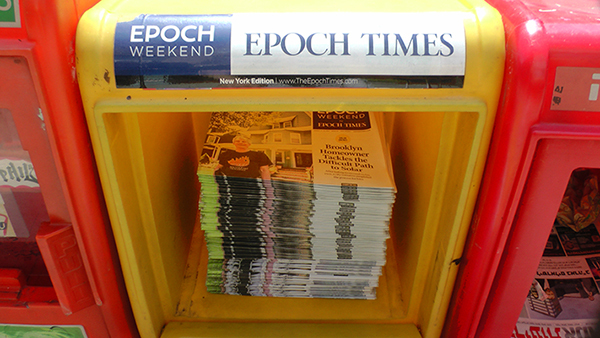 Epoch Times is very popular in the East Village, since it scorns both government and science, and provides mystical explanations for changes in the world! Conspiracies and magic still survive… in the East Village Today!